Well, well, well. 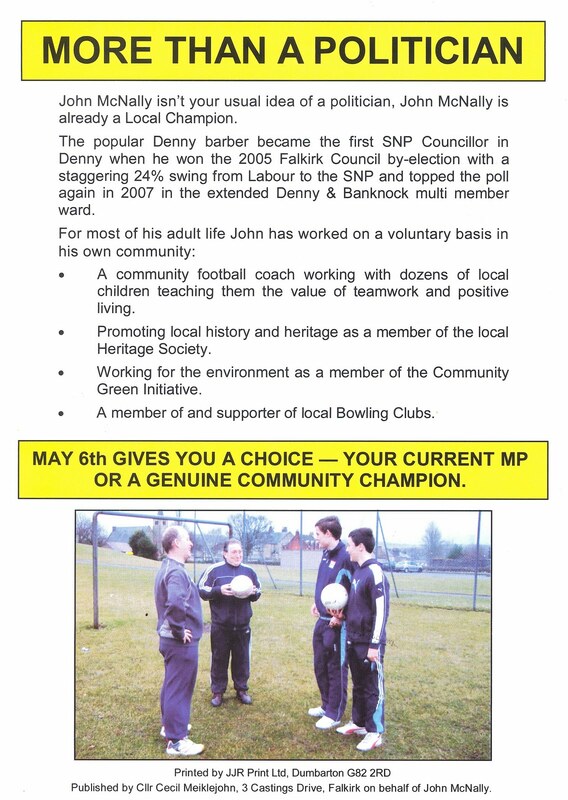 I went in to get my hair cut earlier in the week and was really surprised to find John in there working - I would have expected him to have some election-y things to do. But no, I get my hair shortened and had an interesting discussion with him about the issues. He did say that the reason we haven't seen any posters is that they've been banned by the local council. 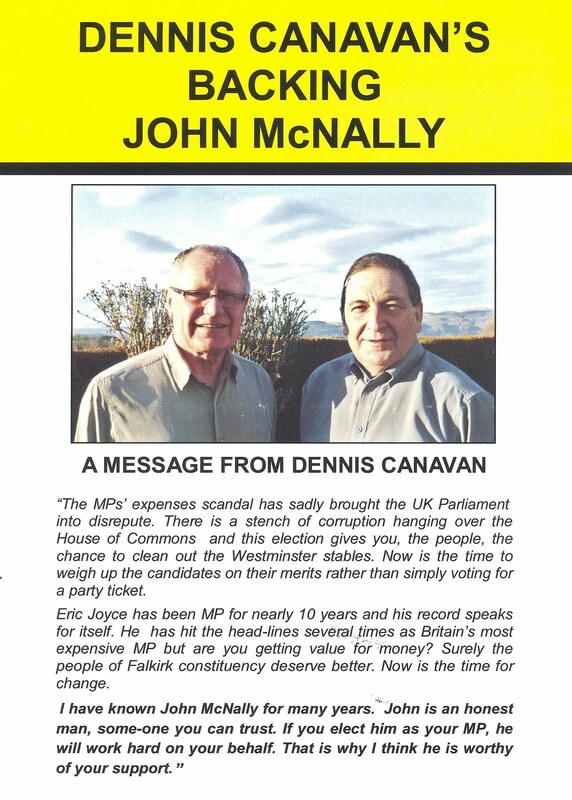 Frankly, I wasn't nearly as unhappy about this as John was - some of the smaller (aka loonier) parties just didn't bother to remove their placards after the 2007 Scottish and Council elections - so this was left to the council. And I probably should have read the Herald more to find out about it (I normally rely on Mrs S-E to point out anything of significance.) Apparently, as well, the leaflets via Royal Mail are getting out much more quickly than usual - he ascribed this to volcano-induced lack of international mail and may well be right. He actually had stopped volunteers putting the larger version of the main leaflet through mailboxes because the mail leaflet had already arrived. Oh. Wow. 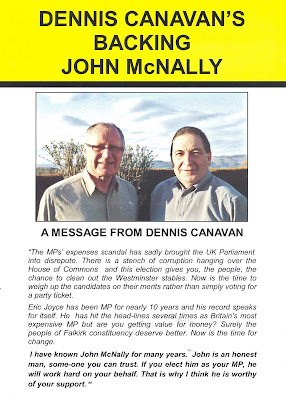 When Dennis ran as MSP for this constituency (then Falkirk West) as an independent candidate, he had the highest majority (Ed: you've done it again. Stop it!) of any MSP. His backing is going to be very significant to John's personal campaign and the wider "Anybody but Eric" movement. As a note - does anybody know how to get blogger to display two images side by side?